Lagunitas received the terpenes from Santa Rosa-based CannaCraft Inc., a cannabis extract manufacturing facility that has made a name for itself in the newly legalized industry despite being raided by police last year. The collaboration is the latest example of businesses outside the cannabis sector exploring ways to take advantage of interest in marijuana as it’s poised to be legalized for recreational use on Jan. 1. Estimates place the California cannabis crop at $7 billion, making it the state’s most valuable agricultural crop. Lagunitas may have been a natural partner; with a stoner-friendly vibe since its founding in 1993. It’s Undercover Investigation Shut-Down Ale commemorates a 2005 St. Patrick’s Day raid by state Alcohol Beverage Control agents to arrest employees smoking pot at the Petaluma plant. 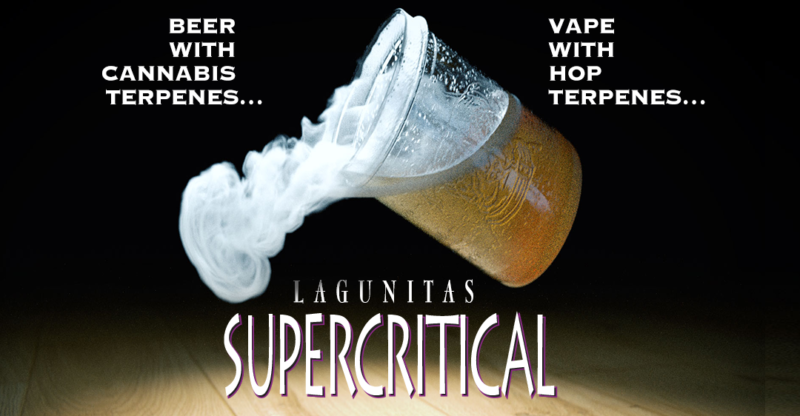 Jeremy Marshall, the brewer for Lagunitas, said he valued working with CannaCraft, especially its high-tech labs that conduct the extraction process using pressurized carbon dioxide. As beer drinkers want to explore the newest versions of hoppy India Pale Ales, Marshall said terpenes can play a valuable role in creating unique aromas and mouthfeels to a drink.